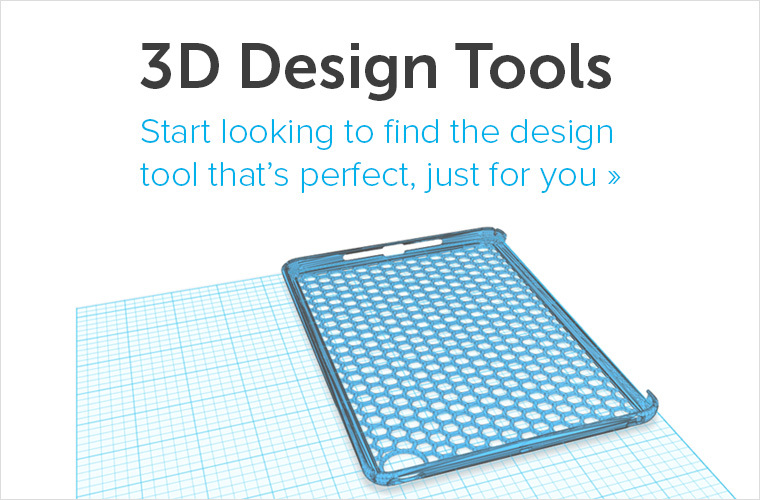 I applaud all the attention that 3D printing has been getting in the media lately. But, I’ve also noticed that many people are now thinking that 3D printing is something that was invented last week and will be relevant in five years. I’ve asked the two biggest experts on the 3D printing industry Terry Wohlers and Phil Reeves to provide us with some information to redress the balance. Did you know for example that the 3D printing industry, according to Wohlers report 2010, had revenues of $1.068 billion in 2009? Terry Wohlers told me that just the medical and dental part of the industry was doing $157,000,000 in 2009.Â We”ll skip all the news from the laboratory and concentrate on what”s been happening right nowÂ in patients with 3D printing medicine. 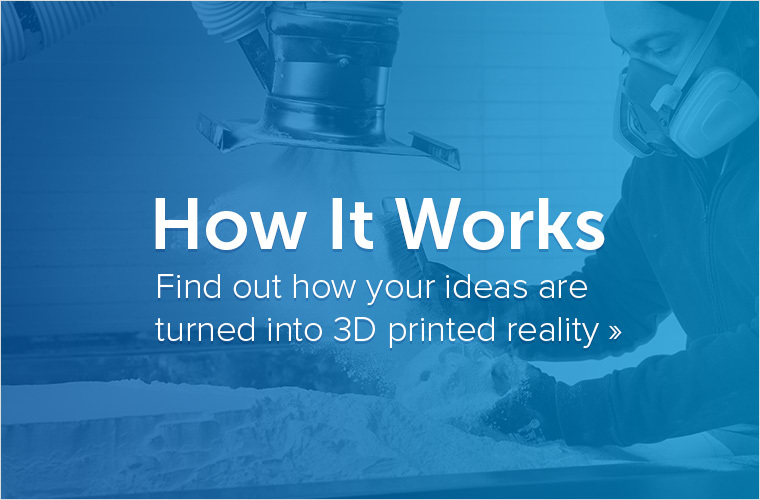 How many 3D printed hearing aids do you think there are? According to Phil Reeves best conservative estimate, there are “10,000,000 3D printed hearing aids in circulation worldwide.” 3D printing dominates the market for In-The-Ear hearing aids (also called ITE). So if you are wearing an In-The-Ear hearing aid right now, then it is very likely that the outer shell of this hearing aid is 3D printed. So how come you don’t know about this? Because the hearing aid manufacturers didn’t sell the technology but rather told patients about the increased comfort. 3D printing makes hearing aids more comfortable and this is why over the years the 3D printed variants have replaced non 3D printed hearing aids. That simply put is what is going to happen in many industries. An individualized 3D printed product offers better comfort (or value) to the customer and will sweep away established mass produced variants. But, what I want to make clear is that this is not some future scenario that might happen in ten years. The hearing aid industry has already been transformed by 3D printing. Market share has shifted, manufacturers have been displaced and the industry has been turned on its head. If you are in any kind of manufacturing business then its nice that 3D printing is now being discussed round the water cooler but you really should be talking about it in the board room. At the very least this technology will accelerate your product development.But, depending on your business you may be Motorola cheerfully pressing ahead with analog while everyone else goes digital. 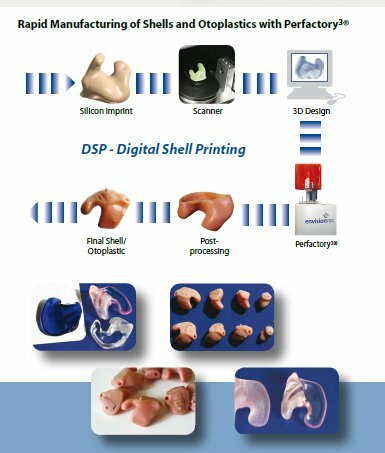 Top is an image of a build tray of an EnvisionTEC Perfactory DSP (Digital Shell Printer) one of a number of 3D printers made specifically for the hearing aid industry. The image directly above shows you how the hearing aid industry gets from a mold to a unique 3D printed hearing aid. The machine makes 30 unique hearing aid shells in an hour and a half. The billion dollar question is what other things could you substitute for hearing aids in the chart above? “Everyone is unique” is not just some ideayour third grade teacher tries to drill into you. In many medical applications patient specific treatments, implants & devices give people better results. Patient specific healthcare will grow very quickly because of this. 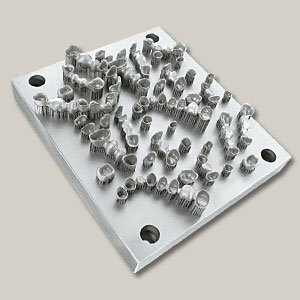 Its only been a few years since the first titanium 3D printing facilities and processes have been certified for implantology. Phil Reeves estimates that there are below 30,000 patients walking around with 3D printed orthopedic implants. Not a large number by any means but its more than you thought there were. There is a much bigger chance that you have a dental implant that is 3D printed. Phil Reeves rough estimates that there have been anywhere from 500,000 to 750,000 3D printed dental implants in patients worldwide. Crowns, bridges & caps are 3D printed with several methods. 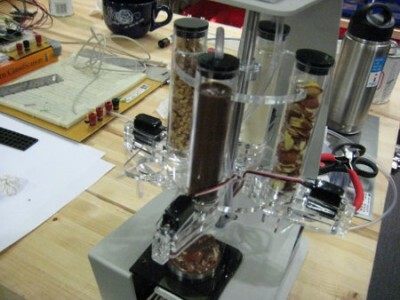 Above is a build platform of a Concept Laser 3D printer whose contents are destined for people’s mouths. According to Terry Wohlers, “One of the largest and most established medical applications is the production of models to help teams of surgeons plan and conduct complex surgeries. CT or MRI scans are turned into 3D files. The resulting files are 3D printed and the surgeons can discuss the conjoined twins or the cranio-maxillofacial reconstructive surgery while holding the 3D prints in their hands. At the same time the tools that make this possible such as Materialise’s SurgiCase can let surgeons virtually plan surgeries. Above is a 3D printed Zcorp multicolor visual model made by us. Note the helpful “this is not an implant” text. 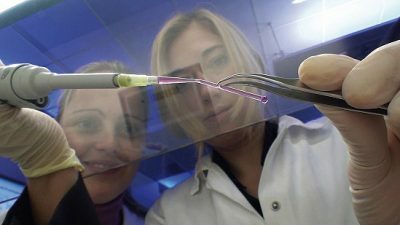 Another fast growing business in 3D printed medicine is surgical guides. With these a scan is taken and transformed into a 3D model. This is then used to virtually plan the surgery. A 3D print is then made of a guide telling the surgeon where and how deep to cut. The surgeon can then use the 3D print to guide the procedure. Because we are heavily involved in this in both surgical guides for Orthopedic and Dental surgeons. I hope that by telling you that there are approximately 10,530,000 people walking about wearing 3D printed hearing aids & implants you’ve gotten a little bit of a better feeling for just how large and widespread the 3D printing industry is in the medical field. I’ll make a number of other medical 3D printing posts over the coming weeks to give you more of an idea of what has been going on. Yes, the major growth is ahead of us and exciting things are being invented all the time. But, to me by far the most exciting aspect of 3D printing is how it is changing manufacturing and adding value to people’s lives right now. 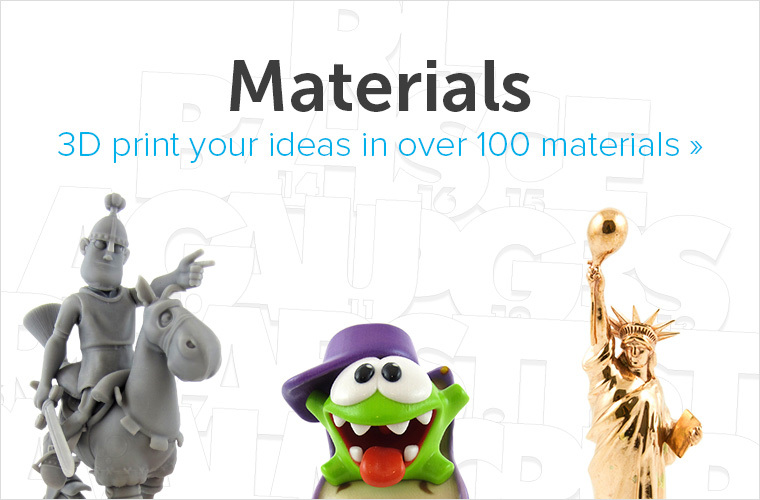 Go to i.materialise main website to learn more about 3D printing solutions.